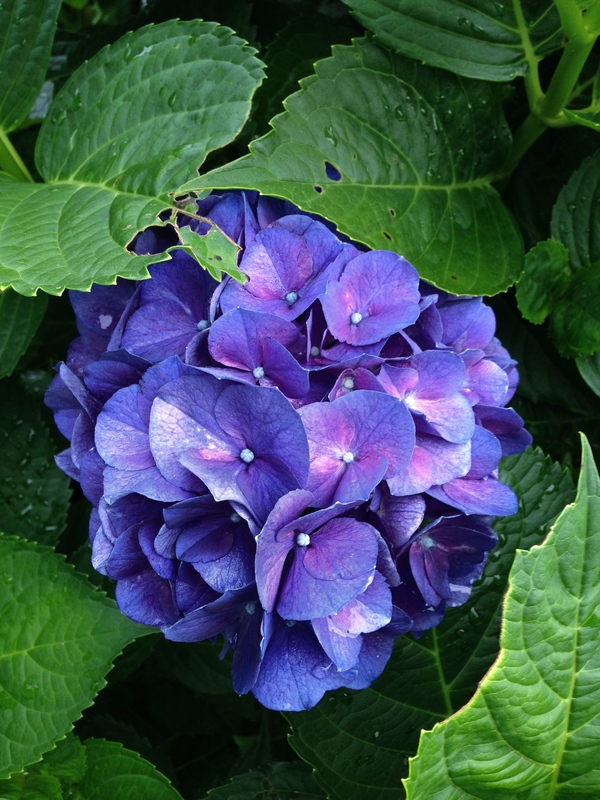 I know hydrangea are kind of the flower out here, but I never tire of them. Especially when I can never be quite so sure how blue they are going to get in a given season. I think this one is just the prettiest mix of blue, pink and purple. Love. Now, note the small rain drops on the leaves. It did, in fact, rain quite a bit yesterday. And with my need to stay as close to home (and my ice packs and bed) as possible, Mr. H and I tried to come up with activities that would be satisfying without leaving the house. Naturally, in a sort of random way, we got on the subject of bread baking. 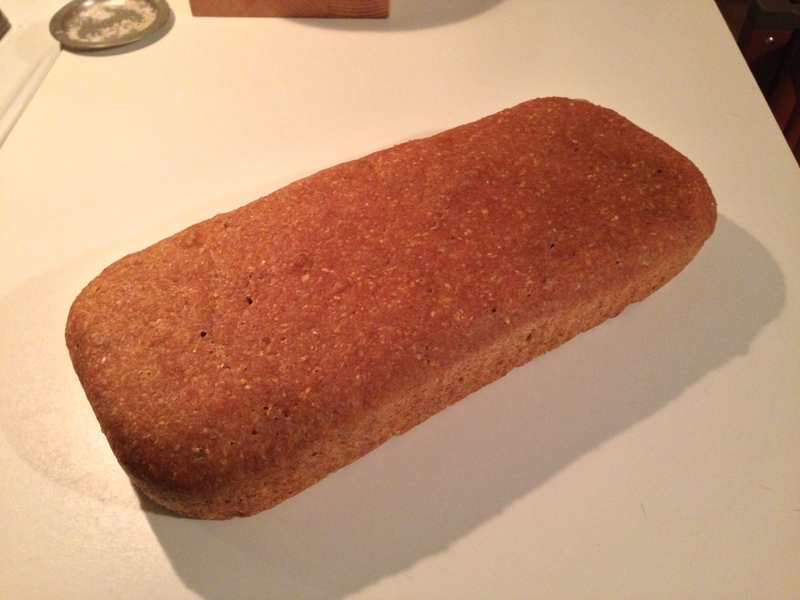 Except for quick breads, neither of us had ever baked a loaf. It always seemed like a big bother, and so it never happened. And even better with jam and good butter this morning. So I have got to call this the most fruitful Weekend of Laziness we’ve had all summer — and suggest you try same. You are currently reading Weekend Loaf at Some Cozy Night.